Mother/daughter team Brittany and Debbie Travis are fighting run-of-the-mill, mass-produced wedding décor and gifts one craft at a time. 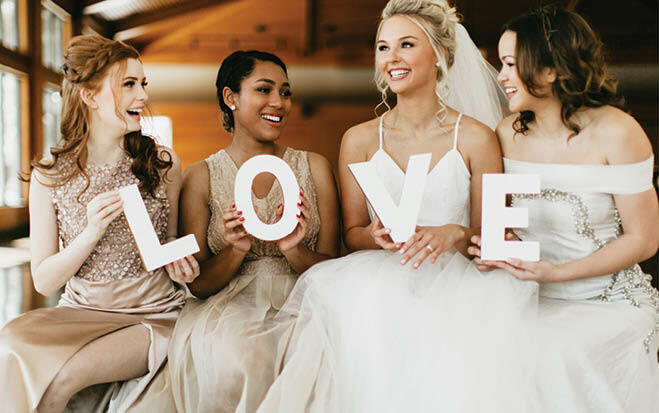 Their company, B+D Custom Crafts, helps brides turn their inspiration into one-of-a-kind, beautiful reality. “Everything we do centers around the power of personalization,” says Brittany. 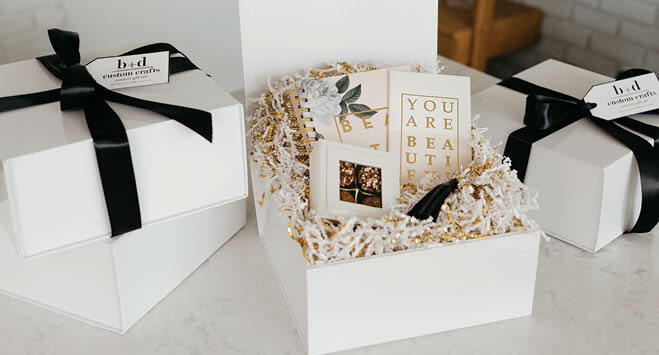 For weddings, B+D offers a variety of product lines, from custom gift sets for your ’maids to all-in-one crafting kits for premium décor. The most popular crafting kits for couples planning weddings are the locally cut Mr. & Mrs. wooden letter signs and custom-patterned block letter sets. All the kits come with easy-to-follow, step-by-step instructions and everything you need to make a dazzling creation. Couples can also opt to have B+D do the work and deliver a finished product. Bonus: The crafting kits are made right here in Minnesota, and 95 percent of the items in the custom gift sets are sourced from women-owned businesses in the U.S.